Kacy started as an analyst with Bourne Partners in 2015. During his time with the firm, he has provided execution support on various M&A advisory transactions and strategic investing projects. In addition to M&A advisory and strategic investing, Kacy also manages the firm’s coverage of the generic pharmaceutical sector. 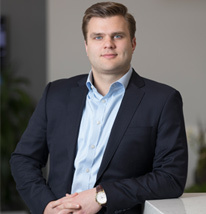 Prior to joining the firm, Kacy was an investment banking analyst with 7 Mile Advisors where he supported transactions in the technology, media, and telecommunications sector. Outside of work Kacy enjoys college football, skiing, and traveling around the world. He volunteers with the Charlotte Heart Tutoring program.